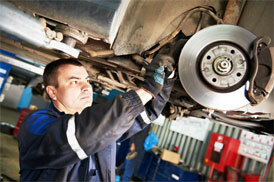 Pulling, squeaking and grinding are signs that you need your brake system evaluated. At TACENTRALAUTOS: We provide free brake inspection of the complete braking system and all its components in order to establish the cause of any problems. The aim is to provide the best possible advice to help you restore the condition and efficiency of your braking system to as near the manufacturer’s original specification as possible.